Lai Mohammed, Nigeria’s Minister of Information and Culture has reacted to the ”re-emergence” of the leader of the proscribed secessionist group, the Indigenous People of Biafra (IPOB), Nnamdi Kanu. In an interview with AIT earlier today, the Minister said no government would waste its energy on a man like Nnamdi Kanu. Reacting to the Live broadcast Kanu had on Sunday in which he said he is fully back and has brought hell with him, Lai Mohammed said Kanu is not something to “dwell too much on”. 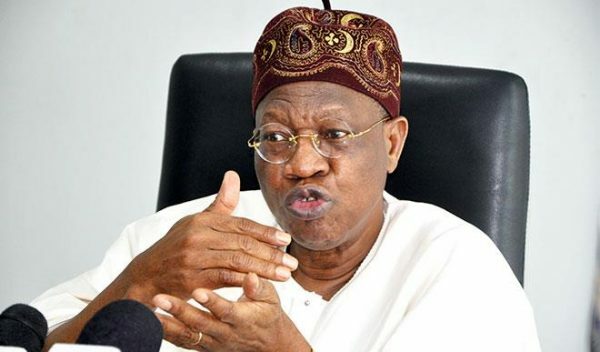 The post “No Govt Will Waste Too Much Energy On Nnamdi Kanu” – Lai Mohammed appeared first on LATEST NIGERIAN NEWS BREAKING HEADLINES NEWSPAPERS.